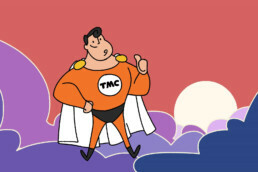 A trio of animated awareness and explainer videos for fleet management specialists, TMC. The Miles Consultancy (TMC) is a fleet management consultancy, helping deliver visibility, control and cost savings across a business’s fleet of vehicles by analysing and auditing mileage and fuel data. They wanted to develop some content that demonstrated TMC’s insight and knowledge of fleet management in an engaging, shareable way. We worked with TMC and their PR team on the scripts for three 2D animation videos, refining them to make the content as accessible as possible. With the subject matter being quite specialised, it was important that the aesthetic we came up with was approachable and friendly. We favoured a hand-drawn visual style in favour of slick corporate graphics to differentiate TMC from other companies in the fleet management space. This would also help the content appeal to an audience less informed on the subject of fleet management. Each of the three videos were designed to highlight three aspects of TMC’s service that they wanted to promote more. The animations were used across TMC’s marketing channels, from events to digital advertising to email campaigns and social media.